One morning as I taught a group of sixth grade students, I learned a lesson about how students process the information I teach. This incident from a lesson on ocean data collection will remain with me and guide my future educational development efforts. 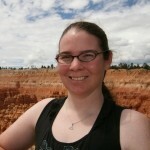 My name is Katie Gardner, and I am a senior science educator at Liberty Science Center in New Jersey. We are partners with the Rutgers University Institute of Marine and Coastal Sciences on COSEE-NOW (a National Science Foundation sponsored program) and have developed several lessons to present ocean observing systems and real time data to middle school students. The morning started out like many in our Jennifer Chalsty Center for Learning and Teaching: a class of 20 sixth graders came in for a lesson on Sea Surface Temperature. I scanned the room and noticed many of the typical classroom divisions. In the back a group showed their disinterest. Up front were several attentive students. And chatty ones were sprinkled throughout. The student who engaged most with me and the lesson was Sarah. She asked tons of questions and answered even more. Whenever I posed a question to the class, Sarah’s hand shot up, with an enthusiastic “Oooo. Me. Me.” wave to it. As part of the lesson, students used digital probes to measure temperature and conductivity of several water samples placed at stations throughout the room. I instructed them to go to the stations, record the data, do a quick conversion of conductivity to salinity, and move on. The class followed the instructions and rapidly copied down their data readings at station after station. Suddenly Sarah read her digital thermometer and looked puzzled. She looked again, and then at her worksheet several times before glancing at the papers of her classmates. She saw that they wrote the same value, so she dutifully copied down the reading, but continued to frown at it. Finally, I prompted Sarah to come over to me. She held her worksheet up to show her reading with the question clearly shown on her face but not spoken. Much to her frustration, I didn’t give her an answer; instead I wanted her to ask the class. Sarah continued to frown at her worksheet, torn between just accepting the number and moving on, or resolving her question. Finally she announced, “I got a temperature reading of -82° C for sample three.” Her classmates paused, looked at their worksheets, and then back at Sarah. Roughly half shrugged, “yeah, and…?” The other half also now began to frown. Encouraged by this reaction Sarah continued. “I think this is wrong.” Again all the students looked at their worksheets and more frowns appeared around the room. Sarah looked back towards me, and I think she noticed my smile and continued. “Water freezes at 0° C, this sample should be frozen if the thermometer is right.” All around her heads bobbed in unison. Then, frowning, they all turned to face me. I asked one question of them; “Does equipment malfunction?” At this point the students lead by Sarah met the question with an emphatic yes, obviously. The trick disgusted them, but for the rest of the lesson students questioned everything, making sure they didn’t fall for any more. This incident continues to personally worry me though. Sarah was the only student out of 20 to notice a problem during her data collection. All her classmates knew the freezing point of water, but none were integrating previous knowledge with their current experience. Successful completion of a lesson or lab activity must include combining the experience with prior knowledge, not just following a set of instructions. I aspire to create future lessons and challenges that will encourage students to engage mentally as well as moving through the motions of an activity.